A man was airlifted from a munro after injuring his head in a fall. 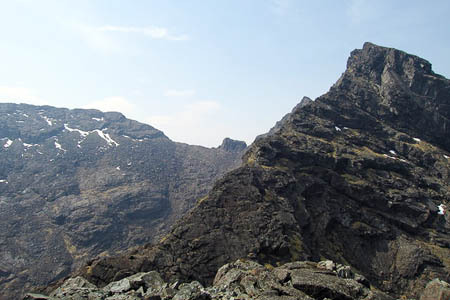 The man, in his 60s, fell about 15m (49ft) today on Sgùrr Dubh Mòr in the Cuillin range on Skye. Police were alerted about 4.30pm and members of the Skye Mountain Rescue Team went to the man’s aid on the 944m (3,097ft) peak. A Coastguard helicopter from Stornoway flew to the scene and the man, along with his wife, were airlifted from the mountain and he was flown to Broadford Hospital on the island. The route to the summit involves a grade-two scramble. Northern Constabulary said the pair’s details would not be released.